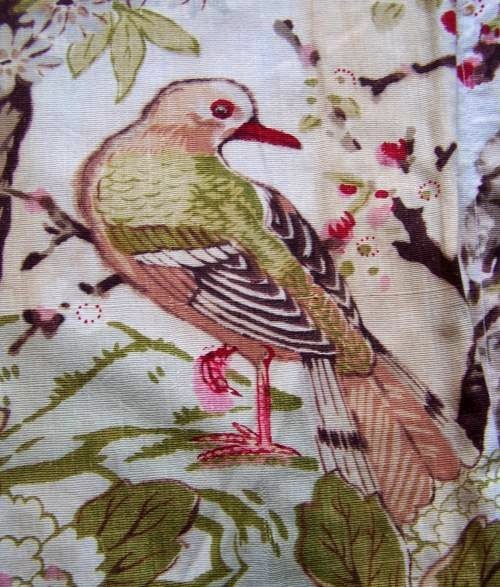 Homespun Stitchworks..... For the love of vintage: Ideas running around my head!.....When a bird fly's in! Ideas running around my head!.....When a bird fly's in! I have 3 projects on the go at the moment and I keep getting ideas for more. I scribble them down in my book so as I do not forget. I used to worry that I would dry up, get writers block as it were but I have to report at the moment ideas are coming thick and fast. I also have a couple of personal projects on the go and really do need to set aside some time to finish them as they are sat in my sewing room looking a bit neglected and sad. It is always time I run out of. My days fly by happily but quickly, like someone has fast forwarded my day. As I stood cutting out, a bird flew through my stable door in the kitchen and landed on my curtain pole in the dinning room, I am not sure who startled who the most. So we just looked at each other for a little bit and I started talking to this little bird, who spread his wings out fully and listened.... it was surreal. So today I am continuing on with stitching my designs and sketching some flowers for embroidery. I am not sure what else today will bring but the weather is divine and I am happily going to see what today brings me.